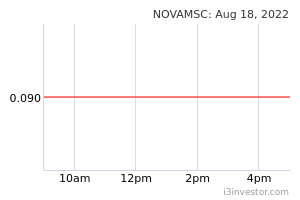 31-Jul-2018 NOVAMSC - the next MYEG? check out its latest SHAREHOLDER! 07-Jun-2018 Novamsc the next rally penny! Nova MSC Bhd is an investment holding company. It is engaged in software research and development, and provision of e-business solutions through the sale of application software and professional services for software customization and implementation. Its segments include Malaysia and Singapore. The company's software products include Pavo, which is an e-Government software that facilities the online submission of application documents; Fornax, which is electronic plan check checking systems software that automates the process of checking and approving building plans and Avicenna, which is a fully integrated cloud-based system which takes care of the administrative needs. sayyouloveme Nova MSC gets nod for latest fundraising exercise to speed up market expansion. lu mabuk ketum ka ?? sayyouloveme The group is currently waiting for approvals from Singapore's Health Sciences Authority (HSA) to begin the marketing of SELENA+ through its 42%-owned subsidiary EyRIS Pte Ltd. The system was jointly developed by the Singapore Eye Research Institute and the National University of Singapore. Keep calm and wait for approval and sales. 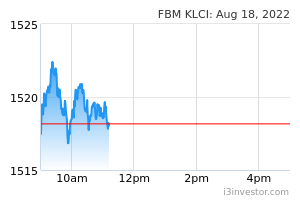 timeinvestor hari ni volume sehat. tembakan dia!!!!!!!!! aku tak boleh langgar pantang larang ..
KAQ4468 woiiii ... hang mabuk ketum ka ?? hang baru nak raya cina ka ?? 2323 KAQ4468 basta15 lagi ??? ?boleh tukar coca-cola???? sayyouloveme Chan was speaking to reporters after the group’s EGM here, together with novaHEALTH Pte Ltd CEO Lai Teik Kin. He said one focus area would be the Malaysian market. Without divulging further, Chan said the group has seen an increase in engagements under the new business environment since the change of government. timeinvestor Mr.Chan bila boleh meletup??? Ahmad Fikry No news published about what they egm all about. sayyouloveme This is the purpose. KingBursa2019 boleh terbang pergi pluto ka ?? Sniper86 Nova is more on e-governmental business so the effect from current slowdown in consumer spending is low anyway..
price movement control by "the team"
timeinvestor kan bursa malaysia worst in the world dah.